Agnes Teague was born on 25 January 1891 in Grimes County, Texas. Her name was recorded as Hattie Agnes Teague in her first marriage record. John D. Teague and Mary Thomas Whitfield appeared in the US federal census of 1 June 1900 in Grimes County, Texas, enumerated next to J. D.'s half-brother Joe Teague. Other members of the household included Agnes Teague, Clem Boyd Teague, Floyd Preston Teague, Carrie Teague and Dink Etta Teague. 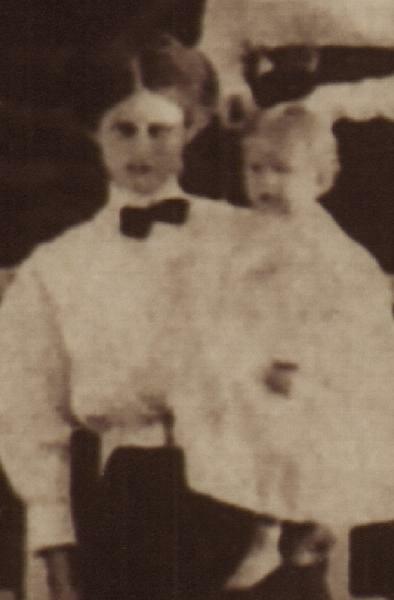 She married Walter Warren Wood, son of Solomon William Wood and Martha Clarana Reed, on 26 April 1908 in Grimes County, Texas. She married Blake Zenella Ward, son of Oscar Zenella Ward and Martha A. Moore, on 12 September 1915 in Grimes County, Texas, with W. L. Pate, MG, officiating. Agnes Teague died on 10 May 1918 at age 27 in Fort Worth, Tarrant County, Texas, at 2021 North Main of pneumonia . Her death was officially witnessed by Blake Zenella Ward. 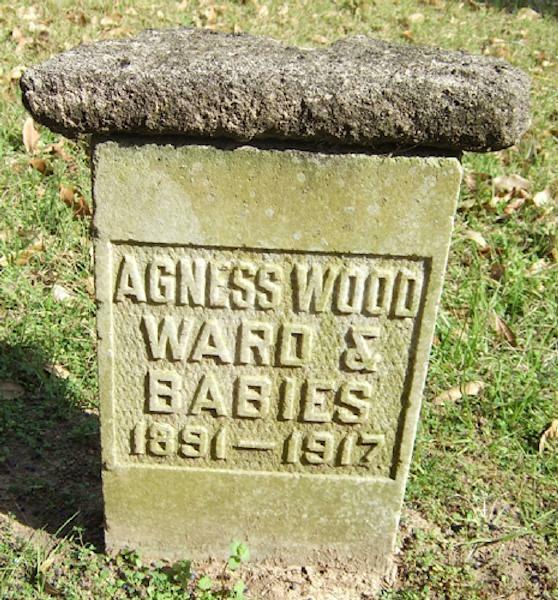 Grave marker inscription: "Agness Wood Ward & Babies, 1891-1917." Her husband Blake Zenella Ward became a widower at her death.